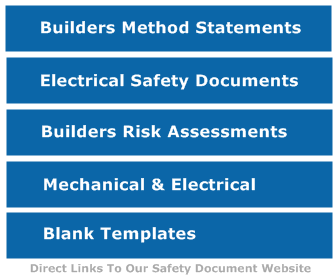 To safely receive and store materials required for the project without damage to the existing structures/services and without injury to persons. Sign boards will be erected where required. Banksman to be used at all times. High visibility clothing to be worn at all times. Deliveries to be planned and coordinated. Storage space for materials has been pre designated and is prepared for materials (such as hard standing, fencing, shelters constructed. The site deliveries are to be sequenced and use of a site works programme, as well as known lead in delivery times to ensure that material quantities on site are minimised. A banksman will be on hand to intercept and guide large delivery vehicles, and to ensure that existing structures are not damaged and that persons are warned of vehicle movements. Forklifts will be under the supervision of the banksman, forklifts are to have reverse warning signals and flashing lights. If a crane is to be used to unload materials then communication between the driver, the rigger and the banksman will be established, this can be visual using hand signals and or two way radios. Manual handling of materials by trained persons only, heavy items MUST be assessed to determine the safest way of moving them. High Visibility clothing must be worn at all times.